Valves are strongly dorsi-ventral. The dorsal margin is broadly arched, while the ventral margin is only slightly expanded. Valves 50-84 μm long; 22-27 μm wide. The valve apices are rounded. The axial area is relatively broad in the central part, narrowing at the valve ends. The raphe branches are lateral and have a slight arch towards the ventral margin. Each raphe branch is positioned nearly centrally within the axial area. Proximal raphe ends are slightly expanded and dorsally deflected. Distal raphe ends curve slightly to the dorsal margin, but are deflected ventrally near the valve apices. The dorsal striae are divergent. 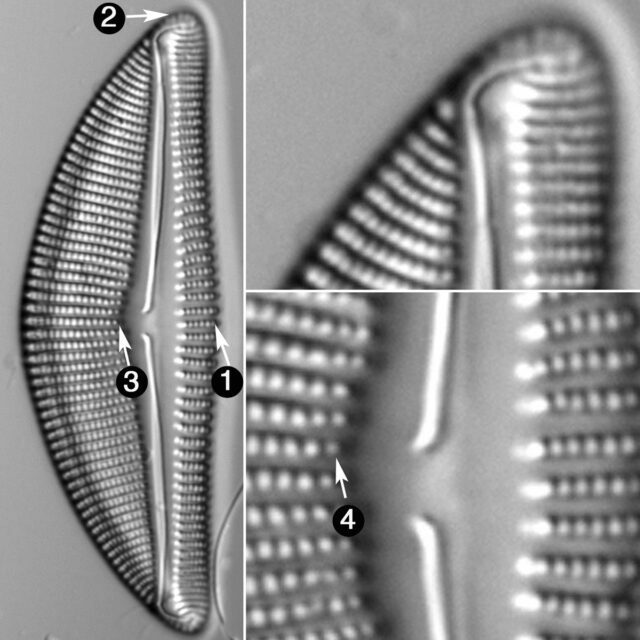 Externally, the rows of dorsal areolae closest to the central area are oval, and become lineolate. Dorsally, central striae 6-8 in 10 μm and distal striae 4-5 in 5 μm. 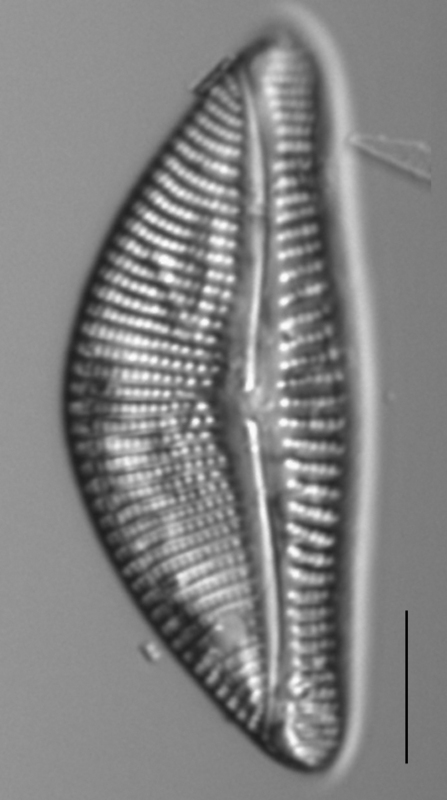 Ventral, central striae 7-8 in 10 μm, distal striae 5 in 5 μm. Areolae density within a central, dorsal stria is 6-7 in 5 μm.